Two major highlights from the 2017 ANA Multicultural Conference, relevant to LGBTQ marketing, showcased how brands are embracing transgender issues. First, MasterCard and its agency, McCann New York, won “Best in Show” at the ANA Multicultural Excellence Awards. MasterCard created a “Restroom for All” at New York’s 2017 Pride, as part of their diversity campaign #acceptancematters. The mobile bathroom was in response to the anti-trans laws that prevented individuals from choosing which bathrooms to use based on the gender they identify with most. This was a controversial matter that galvanized the LGBTQ community. MasterCard’s bathroom could be used by any human with a heart, as recognized by a pulse sensor on the door. Frankly, anyone that brings more bathrooms to pride events deserves an award in my book. Points for MasterCard and McCann’s attentiveness to LGBTQ concerns. Second, HBO’s Director of Multicultural and College Marketing, Jackie Gagne, shared the marketing program around the launch of the HBO documentary “Suited,” showcasing Bindle and Keep, a Brooklyn tailor who creates apparel for trans- and gender non-conforming individuals. Gange described the process of how HBO staff initially educated themselves about the transgender and gender non-confirming community. They listened to community engagement online, read queer editorial, and tapped into trans influencers such as Janet Mock. In their program development, they engaged Tiq Milan and GLAAD, both of which helped create a social contest that invited trans- and gender non-confirming youth to “get suited” with a makeover at Bindle and Keep in New York. Transgender issues no longer only resonate with the LGBTQ community, but also with the broader community as they bring attention to the significance of living as your true, authentic self to every individual. Several other brands have engaged in the conversation including Nike, which created a spot with transgender athlete Chris Mosier, Clairol, which created a campaign around trans model Tracy Norman, and Clean and Clear, which leveraged teen trans model Jazz Jennings. For brands, this is an area that has a significant number of sensitivities. Trans and gender non-confirming individuals are still a group enormously disenfranchised. High rates of violence, discrimination, suicide and criminalization persist. 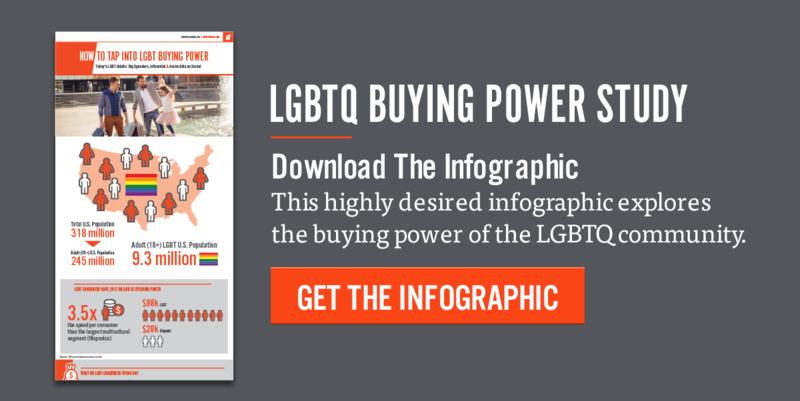 Marketing to the LGBTQ community properly is, thus, extremely vital. It’s important to work with LGBTQ marketing experts to develop and implement innovative ideas, such as those by HBO and MasterCard. Want to learn more? Let’s connect.